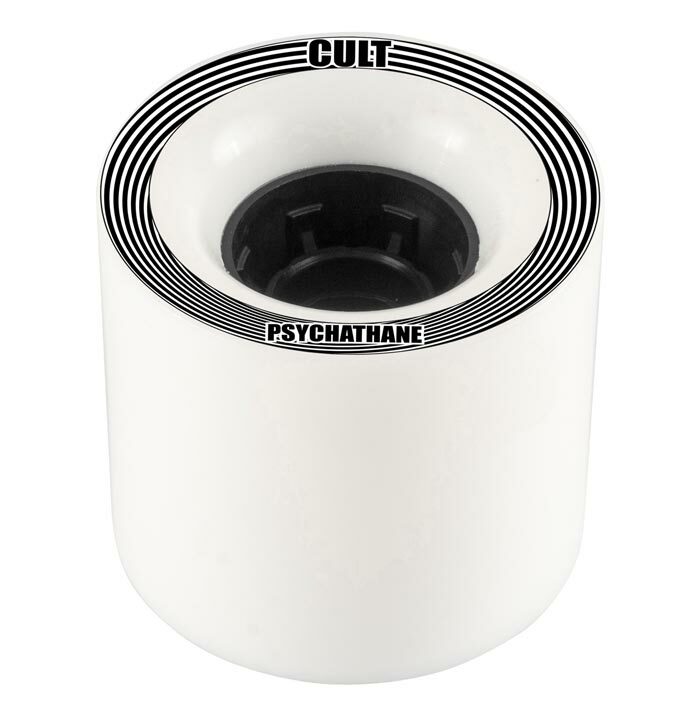 We use Cult Wheels on all our completes, check them out at skatecultwheels.com. What wheels are best for Sliding/Freeride? What wheels are best for Cruising and Carving? What wheels are best for Dancing and Tricks? The profile of a wheel (as you look at it from the front or back) affects the way a wheel rides way more than you may realise. The three things to consider are Diameter, Contact Patch and Width. The diameter or size of a wheel is pretty important. In conventional wisdom, larger = faster and smaller = quicker acceleration. This is because smaller wheels have less inertia to overcome to get spinning and larger wheels have a higher road speed for the same rotational speed. This makes larger wheels faster as friction losses from your bearings increase with rotational speed so there is less drag from your bearings etc at any given road speed. The main difference you will notice between bigger and smaller wheels is that you can roll much faster over rough surfaces when you are on bigger wheels, and a few mm can make all the difference. This has to do with the radius of curvature of the outside of the wheel compared to the obstacles you are trying to roll over (rough surfaces looks like thousands of little rocks to something as small as a skate wheel). The more gentle the curve the larger stuff you can handle. This sort of stuff is not a concern to shortboarders who tend to stick to perfectly smooth skate parks and paved areas etc. 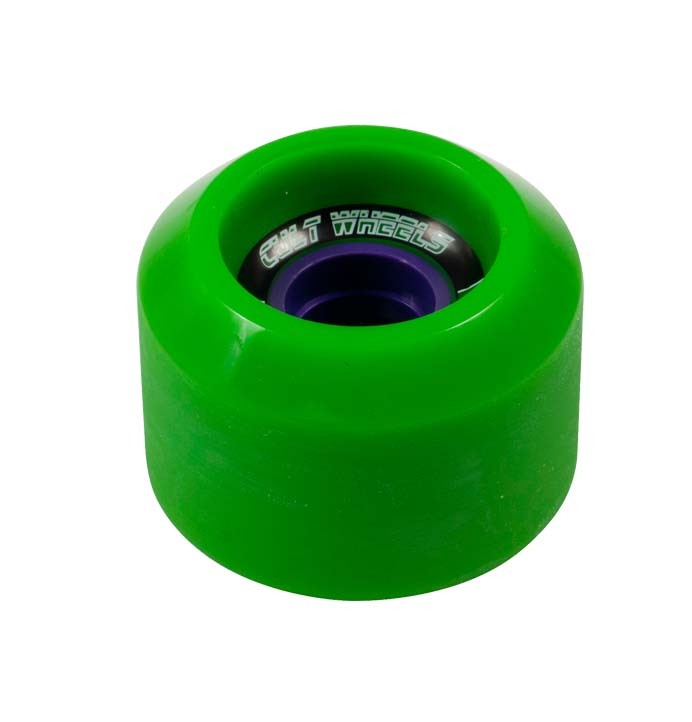 Wheels go up to 101mm using regular urethane, but there are issues of wheelbite with low decks and turny trucks. The other thing that comes into play is weight. Obviously a heavier (bigger) wheel will roll better – but it will also have more inertia whilst going sideways. What this actually means is larger wheels are generally harder to break grip and harder to control whilst sliding – hence most freeride wheels are around the 70mm mark, or have huge vented cores to save weight. 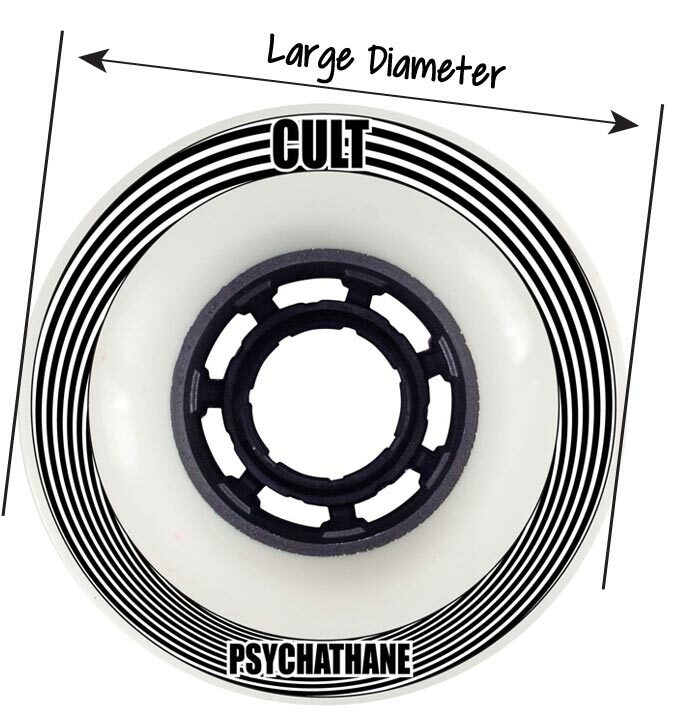 There’s a balance to be struck with having enough urethane on the core to give you a long lasting wheel, and a wheel size that isn’t too sluggish sideways. The contact patch is the width of the wheel that contacts the ground when you’re riding. The wider the contact patch the more grip and less progressive the slide, but the less likely you are to get flatspots. 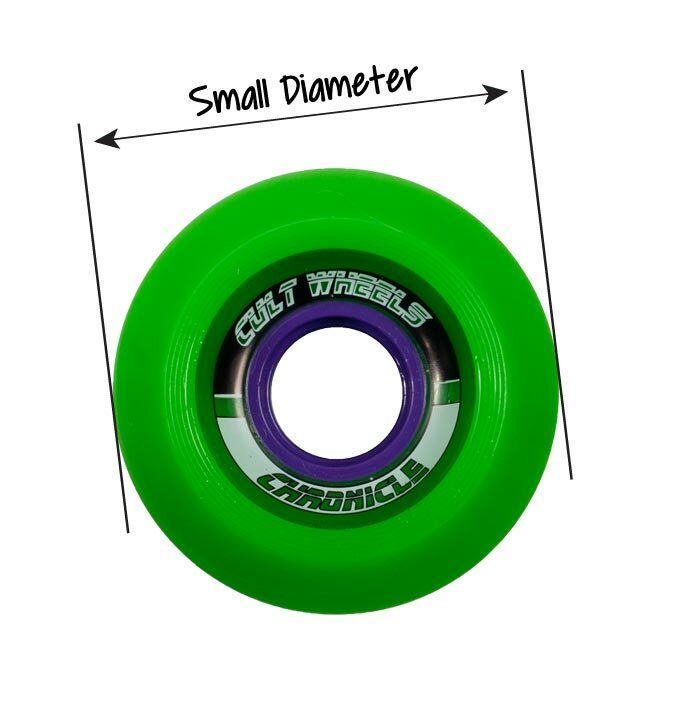 Narrow wheels are looser and slidier, but usually wear down faster and flatspot/egg easier as there is the same weight over a smaller area of wheel – so more pressure on the urethane. 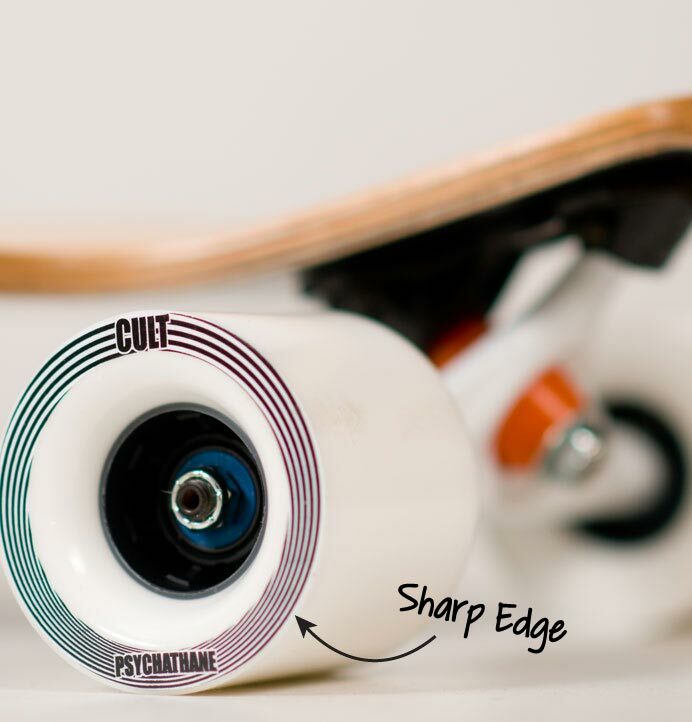 The profile of a longboard wheel’s edge makes a massive difference to how it will skate. Overall grip, smoothness and predictability of the slide, feel over rougher road surfaces and how the wheel wears are all affected. A square or sharp edge profile wheel tends to be quite “unprogressive” and very grippy. They’re best for slalom and fast carving, where you need as much grip as you can get. They have so much grip because the square “lips” of the wheel and distort over bumps in the road surface. 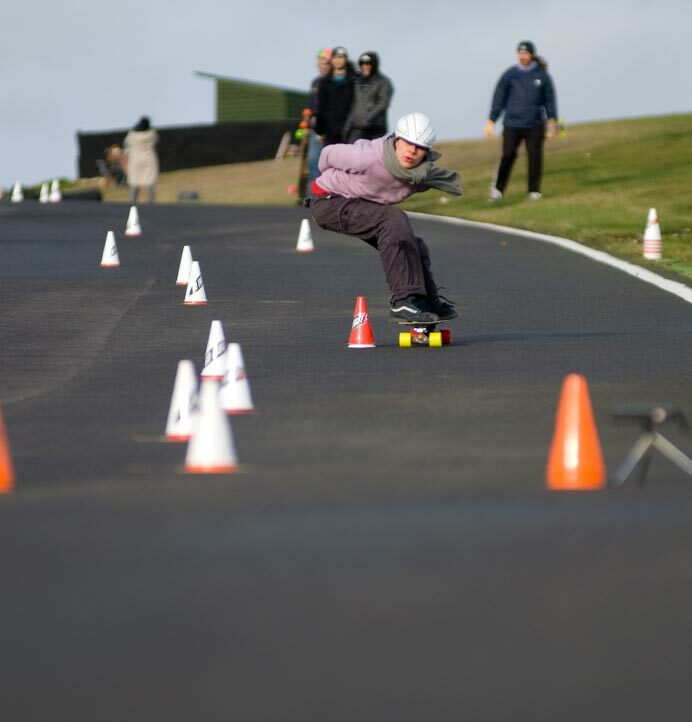 After a bit of carving or drifting you will “blow” the edges of your wheels out – you’ll round those square lips off. Wheel designs that rely on their lips to create grip will suddenly become much slidier as they wear down. Halfway between radiused and square edges is a bevelled edge – where the wheel is machined or moulded at an angle to the rest of the wheel. It’s not as grippy as a square edge, but less progressive than a radiused edge. Generally wheels with a bevelled edge stay about the same shape until you wear them down to the bottom of the bevel. As the wheel is shaped with a nice circular edge it travels across the road sideways much better than a square or bevelled wheel, but it also lets go a bit earlier and more progressively. This makes it easy to loose speed by drifting the board sideways or sliding at slower speeds, but not so good if you need loads of grip. A bigger radius will last longer as the wheel wears down, and will be less grippy than a smaller radius. 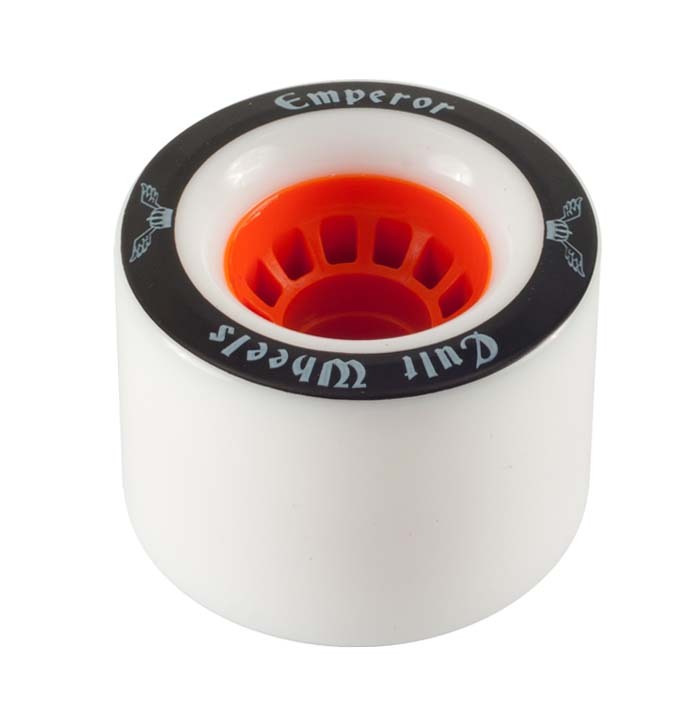 Most quality wheels out there have a plastic core that the bearings sit in. 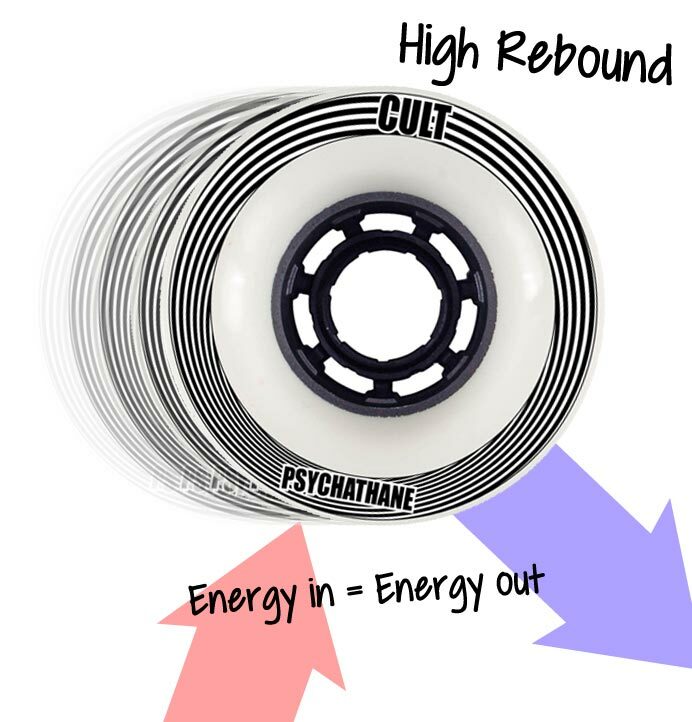 The core spreads the heat through the wheel and stops the bearings (which get super hot at speed) melting the Urethane. 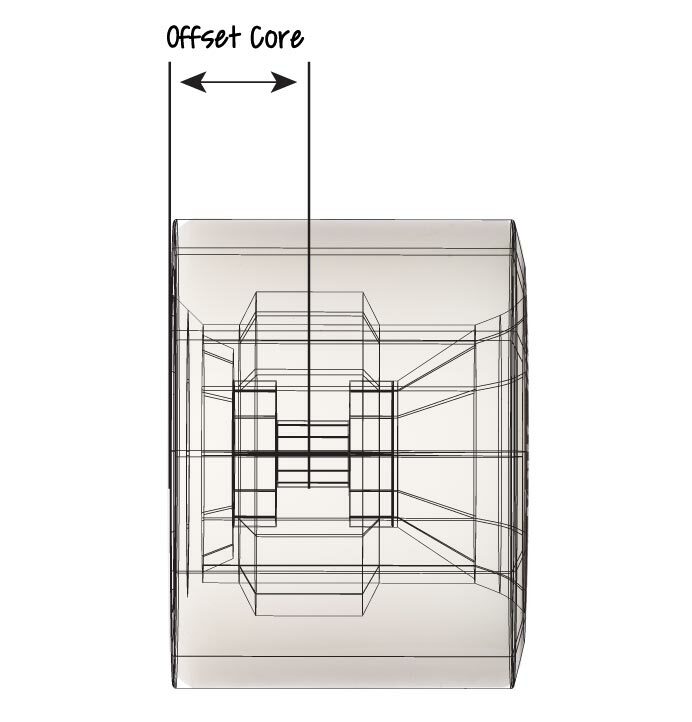 The core also helps to maintain the circular integrity of the wheel, which helps to prevent egging and flatspots. A wheel with a big core is more likely to stay spinning when sliding sideways, so it’ll stay round for much longer than a coreless wheel. 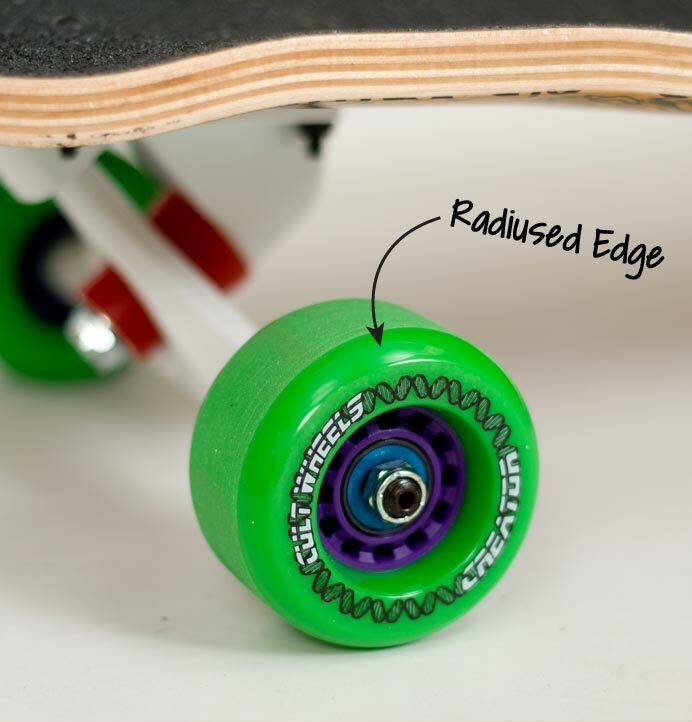 Cored wheels are also faster on smooth surfaces, as there is less urethane to compress and rob you of your speed – but this means that large-cored soft wheels can be quite slow over rougher surfaces. The position of the core in the wheel also makes a big difference to how the wheel grips, slides and wears. Where the core is in the middle of the wheel as you look down on it. This has the advantage of making the wheel “flipable” should you start to cone your wheels, or want to adjust the ride characteristics. Centerset wheels also wear down slowly, as the load (your weight!) is spread evenly across the width of the wheel. However, a centerset core position is not the most efficient design for creating grip, or producing a good slide. Recently some manufacturers have tried to compensate for this by creating super wide shapes with centerset wheels, for maximum grip and a long life on rough roads. 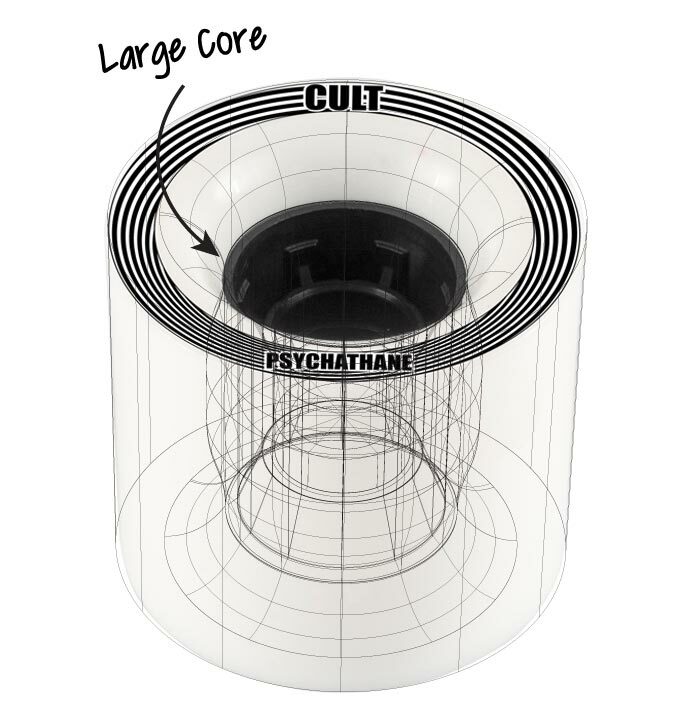 Where the core is in flush with the back of the wheel. This creates a very slidey, progressive wheel, as the inside edge of the contact patch (the bit that does all the work) is very supported. If you want a freeride wheel, we think backset is the way to go. The disadvantage is that they will cone faster. 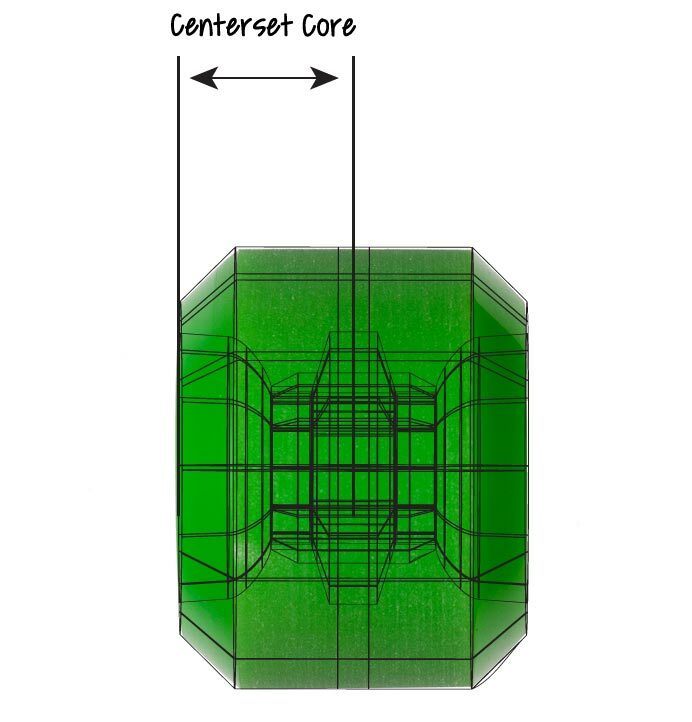 Where the core is in between the back edge and the center. The maximum grip point of the wheel shape is usually somewhere between the inside edge and center of the wheel – so some of the grippiest wheels available are offset. Exact core positioning to create maximum grip is a black art, and many other factors (lip thickness, inner edge profile, contact patch width etc) come into play when creating maximum grip. Skate wheels have come a long way since the steel or clay wheels of the past. Anyone who has ridden both these and modern urethane wheels will vouch for the increased speed, better grip and overall improved ride quality of urethane wheels. This is mainly down to the ability of urethane wheels to rebound, ie return to their original shape quickly after being distorted. Modern urethane is significantly “higher rebound” than older urethane – you can test the rebound or a wheel by dropping it on the floor and seeing how high it bounces. This quality is used to minimise the rolling resistance of the wheel. When you put your weight on the board, the wheels compress slightly at the leading edge as the wheel rolls on to the road, and then as the wheel roll on the back edge rebounds pushing against the road and returning the energy used to compress the wheel in to forward momentum. If your wheels were too soft they would not rebound fast enough and this energy would be lost, if they were too hard the road surface distorts slightly and tarmac rebounds very slowly, again wasting the energy. The theory is something has got to give somewhere so you might as well try to minimise the energy losses. Longboard wheels tend to be around 78-85a durometer (higher numbers = harder wheels) whereas shortboard wheels are often around 99-101a. 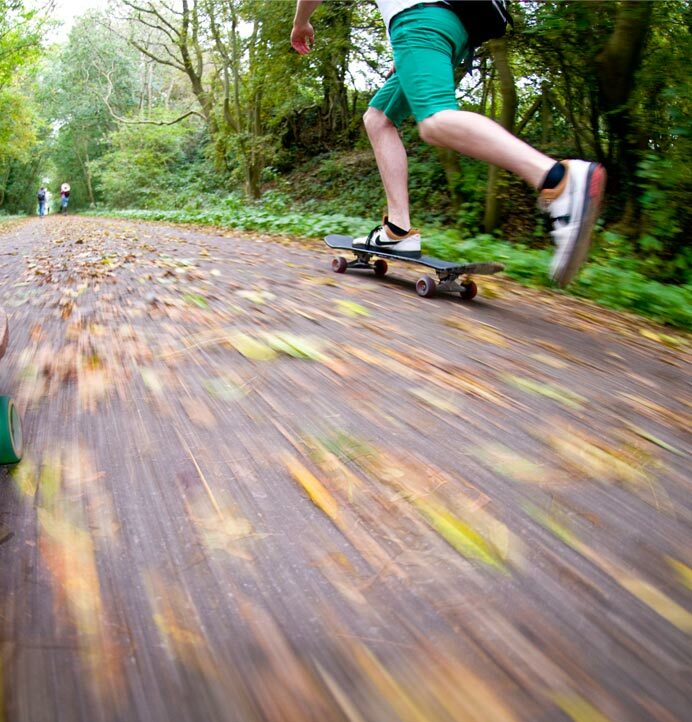 This is because shortboards are used on very hard, smooth surfaces where harder wheels are faster. All this is also tied in with how much grip a wheel has over different surfaces. Generally speaking, the rougher the surface, the less grip you have. On a rough surface a hard wheel will be much less grippy than a soft wheel, as the soft wheel will compress over all the tiny bumps in the road surface whereas a hard wheel won’t. However, on a really smooth surface (like a concrete skatepark), hard wheels will actually have more grip than soft wheels – but when they slide it’ll be a sudden snap and they’ll go forever, whereas soft wheels will be much more progressive. 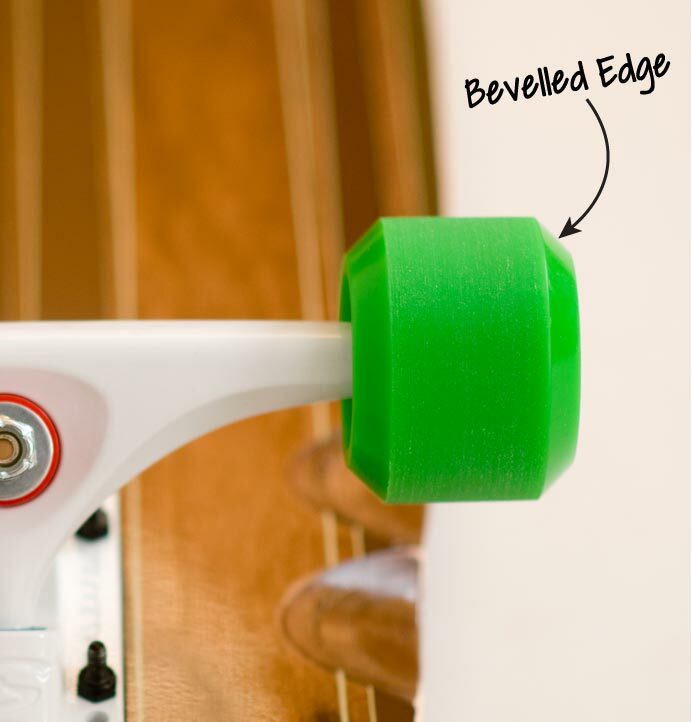 For longboard applications, where you are on rough roads a lot of the time, a softer wheel (75a) will be grippier, with a “grabby” slide, and a harder wheel (85a) will be slidier but also can be hard to control and bring back into grip. 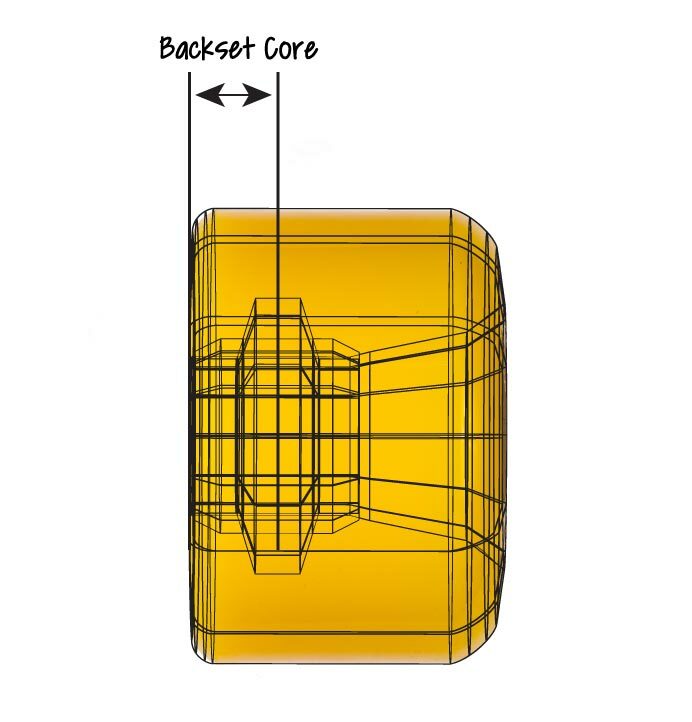 Around the middle (78-82a) is the best balance for most longboard wheels. The dreaded flatspot happens when you slide a wheel sideways, it stops spinning and one area of it starts to wear down faster than the rest of the wheel. You know when you’ve got one because you’ll come out of a slide and your board will make a noise like a motorbike. If the wheel is a softer duro (>88a or so), the flatspot will be much less pronounced – so the wheel will become egg shaped. Flatspots and egged wheels slow you down, cause crazy leg-destroying vibrations at speed, and can chuck you off if they get too bad! You can avoid them by not holding your board fully sideways in a slide (powerslides and laybacks are notorious for flatspots), and rotating and swapping your wheels over sometimes helps. 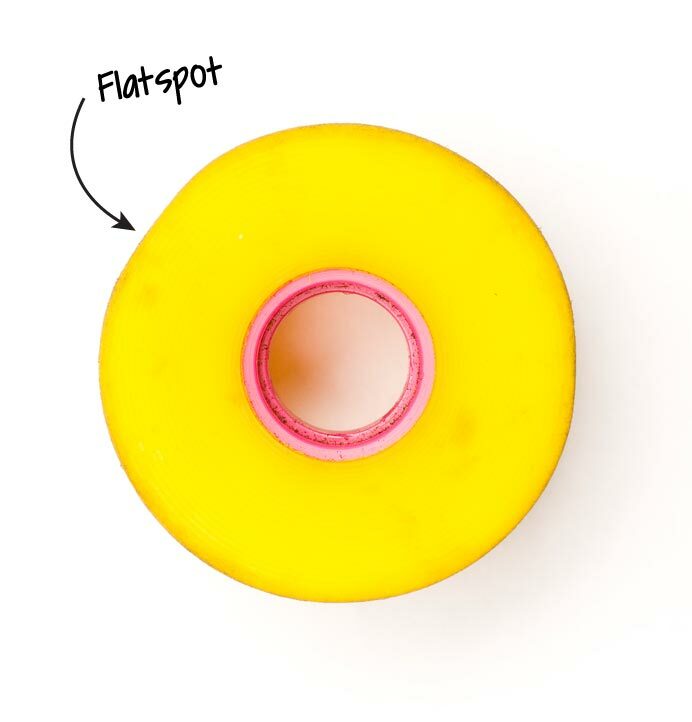 If you do start to flatspot or egg a wheel, it is usually possible to slide the flatspot out by doing lots of fast Coleman slides, making sure that you wind the board around rather than holding it sideways to keep the wheels moving and promote even wear. This is where your wheels hit the deck as you crank over in a turn. It can be very bad as the wheel can stop, throwing you off the nose at exactly the moment you weight is committed to a rail. Wheel wells and cutouts help a fair bit, but you can also solve it by switching to smaller wheels, putting risers on or tightening your trucks. Different to how much grip a wheel has is how smooth the transition between grip and slip is. We call a wheel “progressive” if it looses grip gradually. A non-progressive wheel will grip for ages, then let go into a slide suddenly. Progressive wheels tend to be more predictable over a variety of surfaces, as they’re usually sliding sideways a little bit, whereas non-progressive wheels are usually a bit grippier. A progressive wheel often has a little less maximum grip than a non-progressive wheel, but as its so much more predictable, you’ll find it much easier (and safer!) to learn high-speed checks and slides on. The ultimate longboard wheel would grip for ages and still slide predictably. Here at Lush we put a lot on progressive, predictable wheels, and recommend that you look for this characteristic above all others when choosing your next set – you’ll be safer, learn stuff faster, and have a lot more fun. Slide/freeride wheels need to be loose, with a predictable hook up/slide, strong, and cheap – cos like it or not, they aren’t going to last long with all that abuse. 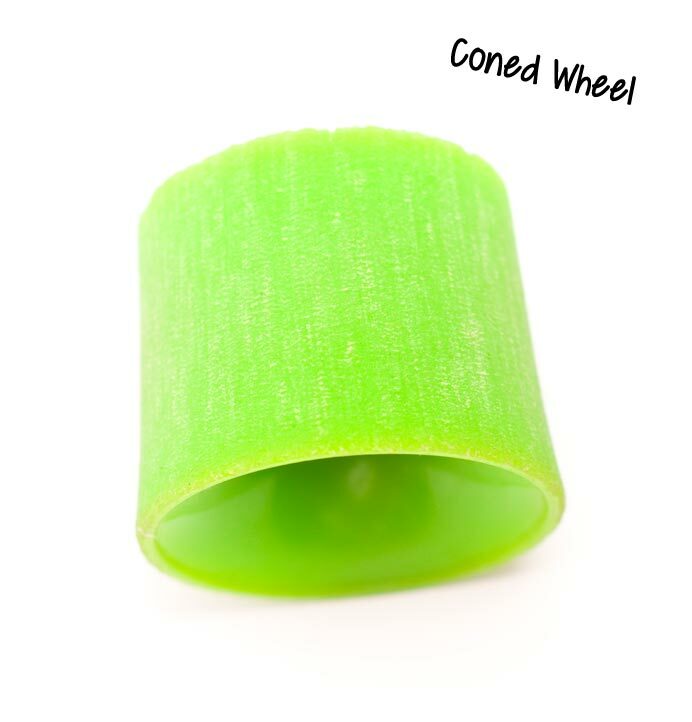 Look for narrow contact patch and width, strong core, harder duro (though there are some excellent 80a slide wheels out there), radiused edges, 65-72mm diameter, backset for a good slide or centerset for flippable wheels, and a good price! 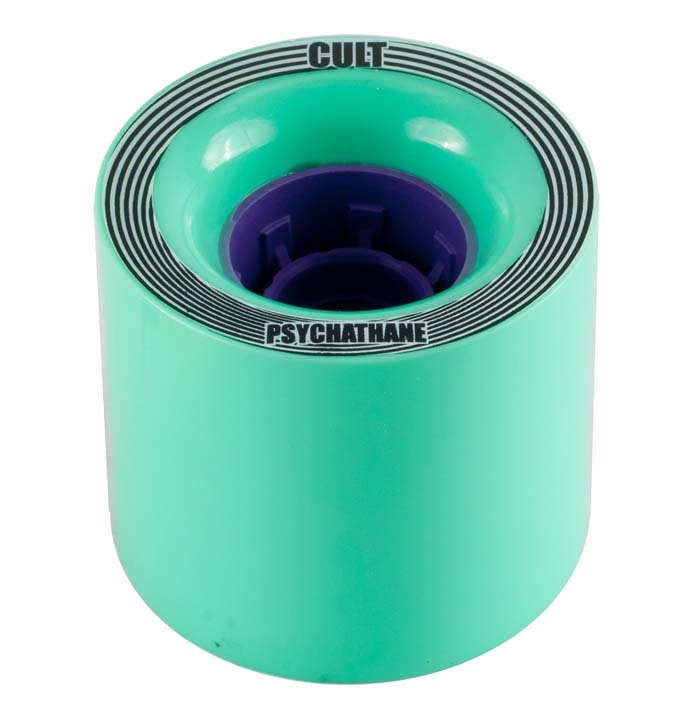 Super expensive high end urethane is wasted on slide and freeride wheels in many situations – often a good slide wheel is made from a urethane that breaks up fast, creating an ultra smooth slide. What wheels are best for Cruising and Commuting? The intricacies of wheel shape are less important here – all you really need is a high rebound formula, for a good roll speed. Radiused edges will help you roll over rough surfaces, and a large diameter will create a wheel that rolls for a long time. However if you want a wheel for nipping around town, or a wheel that pumps well – smaller could be a better shout as they’ll accelerate quicker. Narrower contact patches will create less friction, but you will also loose grip – bad if you want to get your long distance pump on. You want a high-spec urethane for a high roll speed and good energy retention, so be prepared to spend some dollar if you’re serious. What wheels are best for Downhill and Speed? Downhill is all about grip and control. Look for a predictable slide, square, flexy lips for grip, wide contact patch, 70mm-80mm diameter, sideset, and a premium urethane. 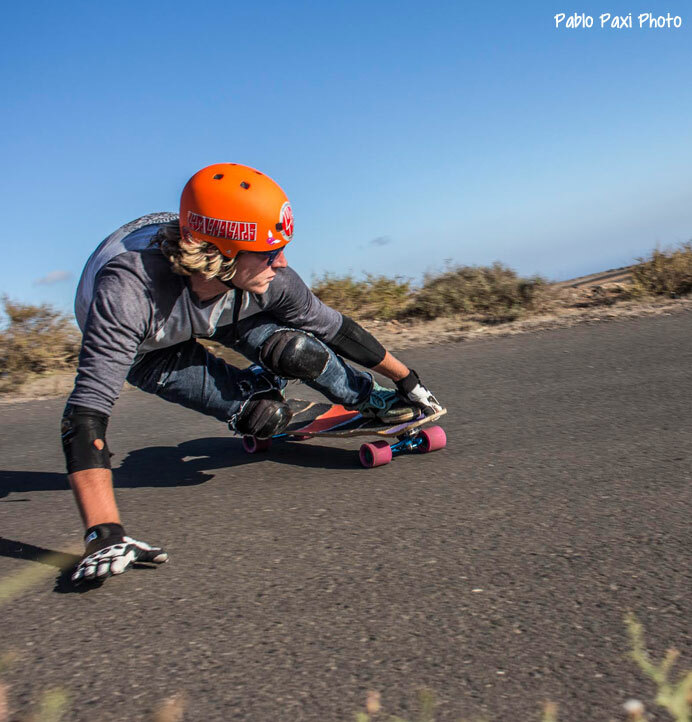 Downhill wheels are generally more expensive – they’re bigger and often make use of high-end advanced urethane, where the manufacturer is pushing for maximum grip AND a controlled slide – the holy grail of downhill wheels. What wheels are best for Slalom? You want to know everything about wheels – talk to a slalom racer! Slalom is very demanding on wheels and many shapes are on the forefront of wheel design. Look for a small diameter (65-72mm ish) for quick acceleration, wide contact patch, sideset core and square lips for grip, and high-spec urethane. Small, light and a smooth slide are what you are looking for here. 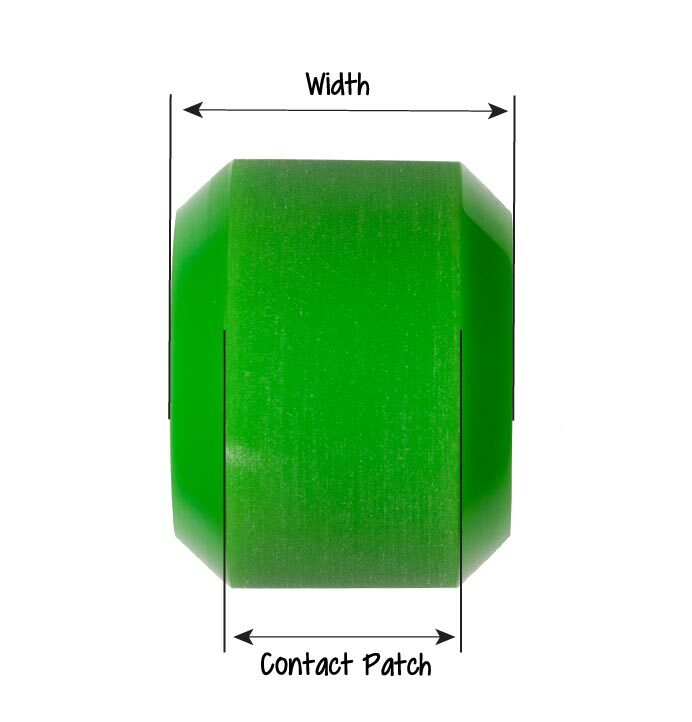 A relatively narrow contact patch radiused or bevelled edges keep the slide easy and controllable, and a softer durometer will keep your ride smooth over most surfaces.